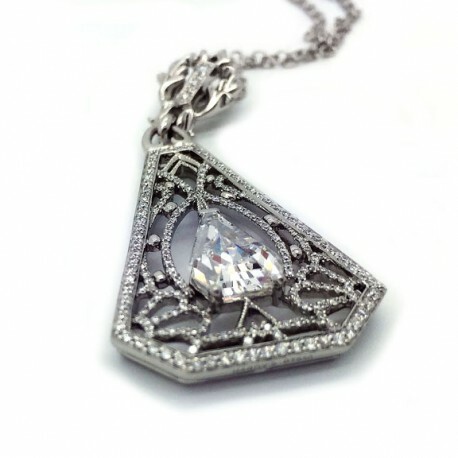 2.12 carat shield shaped diamond (F-VS2) is the focal point of this amazing hand made pendant. Delicate open work set with 191 round diamonds (0.52 ct tw). Amazingly light and airy yet it makes a major impact!